Recently, Pluto Press published what is perhaps the most comprehensive and complete history of the Palestinian people to date. 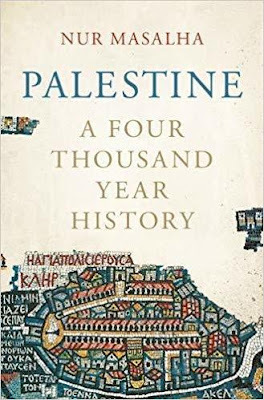 Titled Palestine: A Four Thousand Year History, the text traces the Palestinian people and their culture from pre-biblical times to the modern day. Author Nur Masalha has composed a narrative befitting a people whose future is ultimately crucial to the world’s. Describing most historical narratives about nations as myths based on religions and folk tales, Masalha rejects this approach and takes the reader through a detailed examination of trade, governance, and various inhabitants’ personal documents. In doing so he describes a history of a people and a place that began long before more traditional histories of either Palestine or Israel start. The result is a history based in verifiable data and unadorned by romantic notions of nationalism and religious mythology.